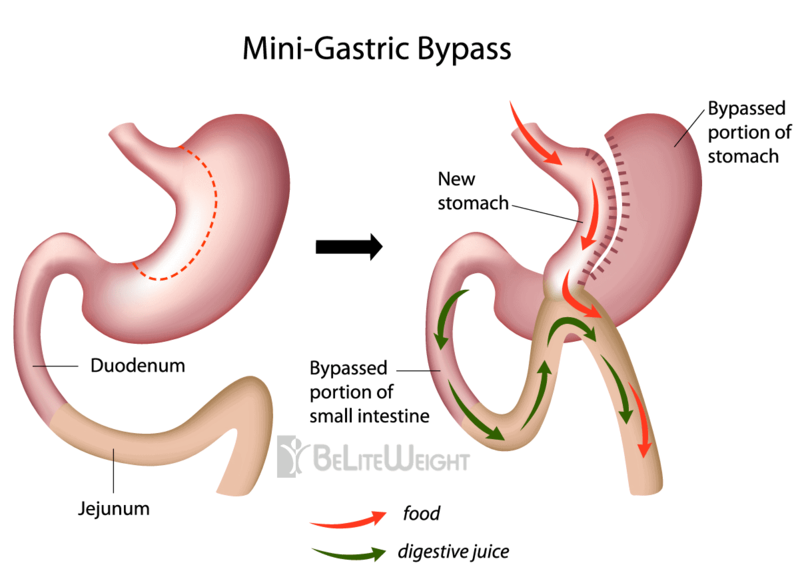 The first use of the gastric bypass, in 1967, used a loop of small bowel for re-construction, rather than a Y-construction as is prevalent today. Although simpler to create, this approach allowed bile and pancreatic enzymes from the small bowel to enter the esophagus, sometimes causing severe inflammation and ulceration of either the stomach or the lower esophagus. If a leak into the abdomen occurs, this corrosive fluid can cause severe consequences. Numerous studies show the loop reconstruction (Billroth II gastrojejunostomy) works more safely when placed low on the stomach, but can be a disaster when placed adjacent to the esophagus. Thus even today thousands of "loops" are used for general surgical procedures such as ulcer surgery, stomach cancer and injury to the stomach, but bariatric surgeons abandoned use of the construction in the 1970s, when it was recognized that its risk is not justified for weight management. 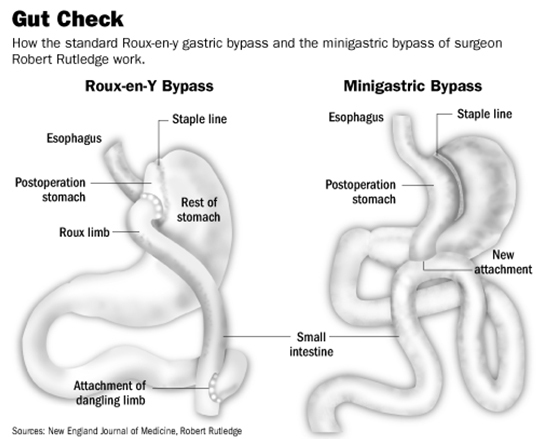 The Mini-Gastric Bypass, which uses the loop reconstruction, has been suggested as an alternative to the Roux en-Y procedure, due to the simplicity of its construction, which reduced the challenge of laparoscopic surgery.